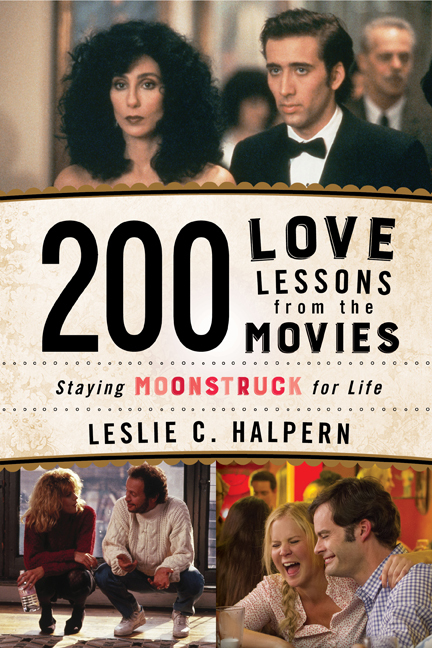 Leslie C. Halpern celebrated the recent publication of her newest nonfiction book, titled 200 Love Lessons from the Movies: Staying Moonstruck for Life (http://www.amazon.com/200-Love-Lessons-Movies-Moonstruck/dp/1630761370/) from Taylor Trade Publishing. Available from Barnes & Noble bookstores and online in paperback or e-book, 200 Love Lessons from the Movies provides a guided tour through the stages of romance using movies as the vehicle. The book borrows ideas from psychology, philosophy, art, science, metaphysics, and pop culture, and then applies them to movies from multiple genres. 200 Love Lessons from the Movies is a wonderful resource that provides suggestions for which movies to watch, what lessons can be learned, and how readers can adapt the information for their own personal use. Leslie also wrote the book Reel Romance: The Lovers’ Guide to the 100 Best Date Movies (Taylor Trade Publishing, 2004), and is an award-winning poet, essayist, and author. 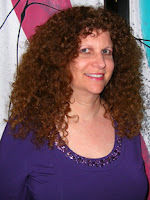 Learn more about her books at www.LeslieHalpern.com. became an American business icon. Bob Kealing is a four-time Emmy Award-winning journalist based in Orlando with WESH-TV. 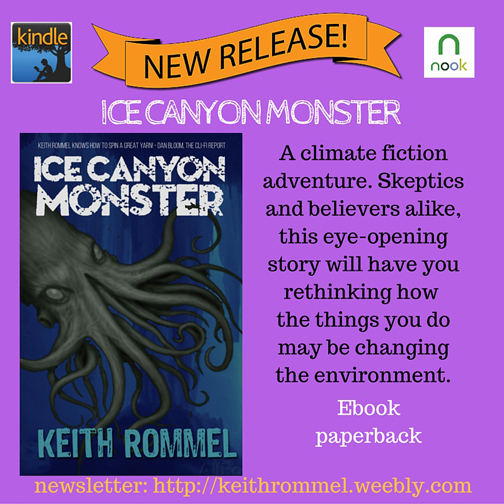 This celebratory 10th release from author Keith Rommel is something much more than a monster book. This is a Climate Fiction story based out of Greenland. What a beautiful island! I want you to meet a Greenlandic Shaman, understand their way of life and see his plight as he tries to find a way to stave off the pollution that is making his people sick, melting the ice, and destroying their way of life. What is a Tupilaq? How does a Gurry shark, an octopus, Husky and the Orca Whales play into this? What is the Petermann Ice Shelf, Baffin Bay and what is the Esperanza? I've done a ton of research on this, combined fiction with education, action with suspense, characters you can relate to and did all this with startling facts. I've stepped out of my comfort zone to bring you the best story possible. My view of climate change has been changed . . . I wonder if you can shrug off the idea that the ice isn't really melting after you read this . . .
AUSTIN, TEXAS – Florida resident Karen Evancic has been awarded The Garcia Memorial Prize for her debut novel, When A Red Bird Flies. An annual award presented in conjunction with the national Reader Views Book Awards, The Garcia Memorial Prize is awarded to the best fiction book of the year. Inventive and inspiring, When A Red Bird Flies is a touching tale about two women whose roots start in the rich Kentucky soil but whose lives quickly take very different turns. A mesmerizing story about faith, hope, love and redemption, When A Red Bird Flies will stay with readers long after the final page is turned. A tender and touching tale, When A Red Bird Flies introduces an extraordinary new voice in the world of women’s fiction. Karen Evancic’s confident debut novel is an exceptional story exceptionally well told. Karen Evancic is a part-time registered nurse in obstetrics, a part time independent writer, a full time mother to three children, and a proud Air Force wife. She is also a veteran who grew up in a military family, and has lived in two different countries and eight different states. She holds a BS in Nursing from Arizona State University and an MA in Criminal Justice from American Military University. When A Red Bird Flies is Evancic's first novel. 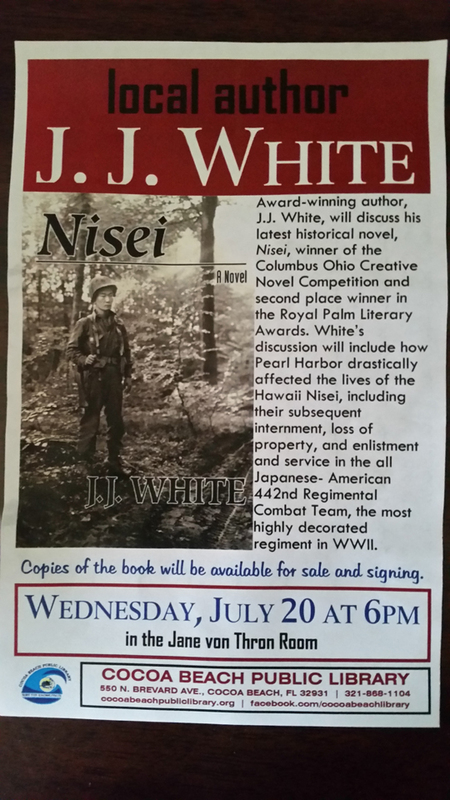 Published by Front Porch History Press, When A Red Bird Flies is available in trade paper and eBook editions. When A Red Bird Flies is available where fine books are sold. 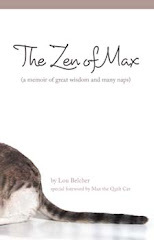 The Reader Views Awards is an annual literary awards program that recognizes excellence in independent publishing. Founded in 2005, Reader Views (www.readerviews.com ) is based in Austin, Texas. The Garcia Memorial Prize honors the life and memory of Garcia, one of the finest Old English Sheepdogs to have ever roamed the earth. Members of the news media wishing to request additional information about the Garcia Memorial Prize or author Karen Evancic are kindly asked to contact Maryglenn McCombs by phone – (615) 297-9875, or by email – maryglenn@maryglenn.com. James the Just, Brother of Jesus by George L Fouke Ph.D.
By George L. Fouke, Ph.D.
Actual and fictional characters tell the true story of James the Just, leader of the Jerusalem Jesus Movement after Peter. Professor Fouke gives authoritative insight into the historical and political realities that confronted both Jesus and James in establishing Christianity. Ananus ben Annas, the new High Priest, has arrested James the Just, brother of Jesus and leader of the Jerusalem Jesus Movement, along with six of his church leaders. James knows the blood feud between the Annas clan and Jesus’ family has resumed. They were responsible for the death of Jesus and James fears he’ll be next to die. Rumors about the prisoner’s fate swirl through Jerusalem. The aristocracy plots to protect their accommodation with the Romans. Rabbis seek answers and ways to save James from trial and death. The Sanhedrin meets in secrecy and the High Priest decides the fate of the prisoners. Leah, grand-niece of James the Just, ministers to her uncle in prison and works tirelessly to obtain his freedom. Through the intercession of Aaron, a young rabbi enamored with her, King Agrippa has promised to remove Ananus from office. But will he arrive in time to free the Holy Seven, as James and his followers are now known? Will Leah return Aaron’s affections or will she choose Philip, nephew of the Apostle Paul, to whom she was once secretly betrothed? Or will she choose neither and follow the ministry of her grand-uncles Jesus and James? 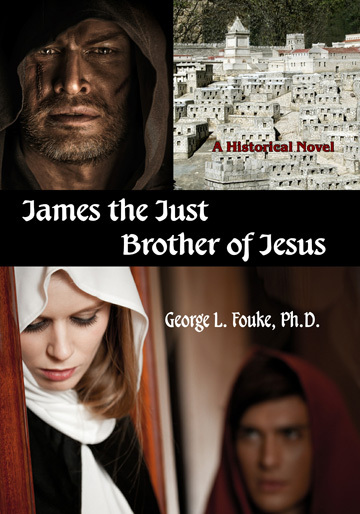 Over a period of ten years, Dr. Fouke read or consulted more than two hundred books and journals on the period covered in his historical novel, James the Just, Brother of Jesus. 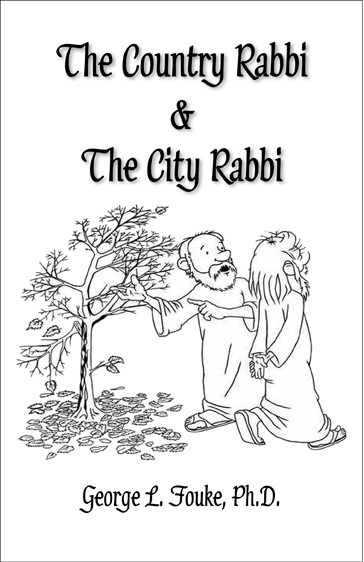 A humorous, spirited debate about the meaning of life, faith, worship, cultures, and death in ancient Judea between two wandering storytellers, one a somber city rabbi, the other a laid-back country rabbi. A companion book to Professor Fouke’s James the Just, Brother of Jesus. 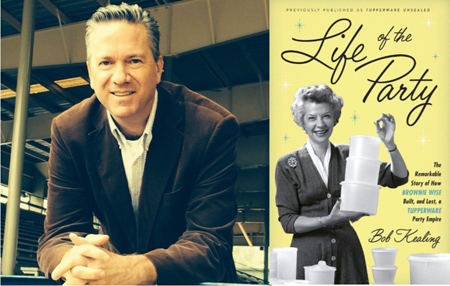 Dr. Fouke was raised in six foster homes but found opportunity at every turn in America. After earning degrees, he taught interdisciplinary studies and became Chairman of the Department of Politics at St. Andrews Presbyterian College in Laurinburg, North Carolina. Dr. Fouke lives in Florida with his wife Dot near grand and great-grandchildren. He is currently preparing a memoir for publication. Other Books by George L. Fouke, Ph.D.
It’s July and by now we must all be saturated with political speeches, advertisements, etc. Let’s look at the bright side—only four more months to go (ouch)! It is definitely time for some good fiction reading—and I do not mean campaign rhetoric. I mean Oceanview novels. July is a big month at Oceanview. Two new books are being launched. On July 5th we released DEEP SIX by D. P. Lyle and on July 19th we released MANHATTAN LOCKDOWN by well-known New York criminal defense lawyer, Paul Batista. And what incredible books they are. Doug Lyle is off to a roaring start—with both laughter and sales. This is a funny book as well as a gripping thriller. Dr. Lyle has proven that a practicing cardiologist can be funny. His character Jake Longly is that combination of tough, cool, and quirky. But when he teams up with his new squeeze, Nicole Jamison, they have a tough time staying out of harm’s way as they become a two-for-one P.I. team. With a cast of wonderful characters, both good and bad, and a few really scary, you do not want to miss this romp. So get that order in soon for DEEP SIX by D. P. Lyle. In MANHATTAN LOCKDOWN Batista brings a provocative tale of a major terrorist cell operating in Manhattan with devastating results—and no one can find them. Well, maybe someone can—but not using traditional, and legal, methods. These attacks are game changers and the tactics needed to stop them must be unique. This is a nail-biter, too close to a real possibility for comfort, but chock full of fascinating characters and some major confrontations between bureaucracy and those willing to challenge it. Timely, frightening, captivating—you will not be able to put it down. So go get your copy of MANHATTAN LOCKDOWN by Paul Batista. In August you will see FATAL ODDS by John F. Dobbyn. Dobbyn has succeeded in wrapping a wonderful thriller around a real problem of immense magnitude—the illicit trade of exotic animals and birds, many of which are becoming extinct. This has become the third biggest money-earner for organized crime, just behind drugs and prostitution. You will hear more about this book next month. 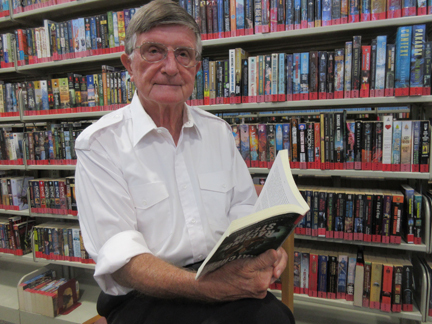 July saw the release of the paperback version of NIGHT TREMORS, the Anthony and Shamus Awards nominee by Matt Coyle. July also saw the audiobook release of AFTER THE FALL, the USA Best Book and Florida Book Awards winner by Patricia Gussin. And METHOD 15/33 by Shannon Kirk was named the INDIEFAB Book of the Year Award Winner, receiving the Gold Medal in the Thriller & Suspense (Adult Fiction) category. Congratulations, Shannon. Also, GUMSHOE by Rob Leininger hit the USA Today bestseller list. Congratulations, Rob. PASSENGER 19, by highly successful author Ward Larsen, was just licensed for publication in Bulgaria. In addition, PASSENGER 19 recently hit the iBooks weekly bestseller list. Congratulations, Ward. Also, many Oceanview authors were in attendance at ThrillerFest, the big annual meeting of the International Thriller Writers, held in Manhattan. Our authors were quite visible as panelists. So, lots of good news this month. Please take a look at some ebook pricing opportunities below, and keep on reading. Valerie Allen's annual Big Birthday Book Bash is underway - all of her books and short stories are FREE on Kindle from July 20 - July 24, 2016. Get one, get them all. Hurry! Only 5 openings remaining! Bring your laptop and your work in progress to get some one-on-one computer assistance from seasoned writer/editor Mia Crews and IT Specialist Phil Crews. Thanks to Klaus Kolb for becoming a Friend of Florida Book News. Your support is greatly appreciated. Please click on his badge in the right column and read about what he's writing. Emily thinks she’s lost everything . . . until a mysterious painting leads her to what she wants most in the world. Emily is hungry for roots and family, so she begins to dig. And as she does, she uncovers a fascinating era in American history. Her trail leads her to the World War II POW internment camps in Florida, where German prisoners worked for American farmers . . . and sometimes fell in love with American women. But how does this all connect to the painting? The answer to that question will take Emily from the sweltering Everglades to Munich, Germany, and back to the Atlanta art scene before she’s done. Along the way, she finds herself tempted to tear down her carefully tended walls at last; she’s seeing another side of her father, and a new angle on her painful family history. But she still has secrets, ones she’s kept locked inside for years. Will this journey bring locked inside for years. Will this journey bring her the strength to confront them at last? 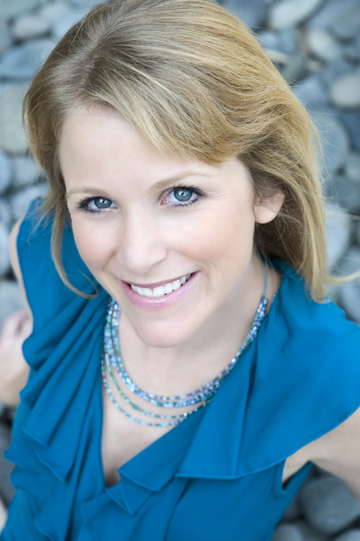 KRISTIN HARMEL is the internationally bestselling author of The Sweetness of Forgetting and The Life Intended, along with several other novels. Her work has been featured in People, Woman’s Day, Men’s Health, Redbook, and many other outlets. She lives in Orlando, Florida.